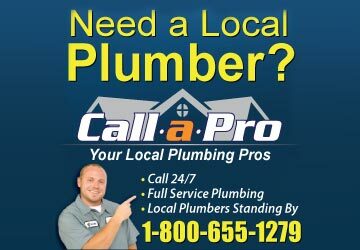 Providing sewer camera information and resources to professionals in the plumbing industry. A sewer camera, sometimes referred to as a drain camera or sewer snake camera, can be a great asset for diagnosing and correcting pipe and drainage issues.Homes or businesses that are experiencing slow drains or sewage backups could most benefit from a sewer camera inspection. A basic sewer camera consists of a small, water-proof video camera mounted on the end of a long, snake-like wire that can be run through plumbing and sewage pipes. Most sewer cameras also feature a high-power light on the end to illuminate the snaking line as it explores the pipes. As the fiber-optic camera progresses through the pipeline, it sends the image through its line back to a monitor in real time that shows the progression through the pipes. 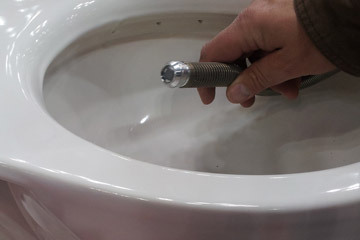 Using this technology, a professional plumber is able to locate clogged passages and broken pipes without destroying any of the plumbing in the process. The important part of using the sewer camera is making sure that the correct type of camera is used for the specifications of each plumbing system. There are a great number of different cameras, each sized for different diameters and lengths of pipes. The average working length for most cameras is 60 to 100 feet, but there are cameras available in longer lengths if necessary. In addition to considering the length of the sewer camera, the diameter of the pipes must also be taken into consideration. The wire and the camera itself must be at least a few millimeters narrower in diameter than the smallest pipe that will be examined. This will allow the scope to move smoothly and without obstruction throughout the troubled plumbing system. Although all sewer cameras are waterproof, there are some instances when the water pressure in a pipeline can be significantly higher. For these situations, special cameras with heavy duty protection are available that can withstand the heavy pressure while still projecting a clear and accurate image on the monitor. Many monitors can also record the pipeline expedition for repeated viewing or for review at a later time. This feature can be especially beneficial for a problem area in a pipe that repeatedly causes issues because the unclogging progress can be recorded and compared over time. This comparison can also be useful when trying to locate a problem in an expansive or complex system of pipes, such as in a business or apartment complex. Because there are so many options in the types of sewer cameras, professional plumbers will want to consider several factors when selecting one. Sewer cameras cost thousands of dollars, but when used properly and enough times, it can pay for itself fairly quickly. Is one sewer camera enough? Professional plumbers may decide to buy one of the smaller cameras with the hope that it will be tiny enough to fit through even the narrowest of pipes, but for the high volume plumbing and sewer company, multiple sewer cameras of different sizes would be necessary. Even the smallest plumbing shop should invest in a lightweight and portable camera that can be added to the plumbing arsenal of tools without taking up additional space. Finally, purchasing a sewer camera with a color monitor and SD card memory could allow the plumber to more fully visualize and remember the images of the pipes for a later date. Plumbing and sewer companies also benefit from being able to show the homeowner or property manager the exact problem on a video screen. There are many useful features and logical reasons to use a sewer camera when examining pipes and when diagnosing plumbing issues that make it an excellent tool. 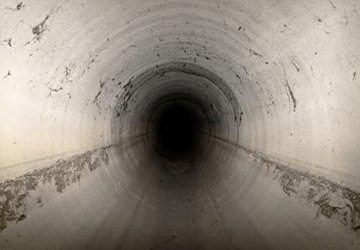 Some of the typical problems discovered by a sewer camera include damaged pipes, intrusive tree roots, and faulty pipe connections. The sewer camera allows the discovery of these issues without digging up any pipes, without disturbing outdoor landscaping, and without removing any indoor plumbing fixtures. This ability makes the camera the least intrusive method for diagnosing all types of plumbing issues. Potential new homeowners would be wise to request a sewer camera inspection of the pipelines of a house before its purchase. The camera would be able to locate corroded and cracked pipes as well as lines blocked by hair or grease obstructions. Although ordering a sewer camera inspection can be a little more expensive than the typical home inspection, hidden or inaccessible pipelines are easily viewed through the use of the sewer camera, meaning that the new home would not pose any unexpected plumbing issues after purchase. The amount of money saved by not facing plumbing repairs after buying the home would offset the amount spent on the sewer camera inspection.